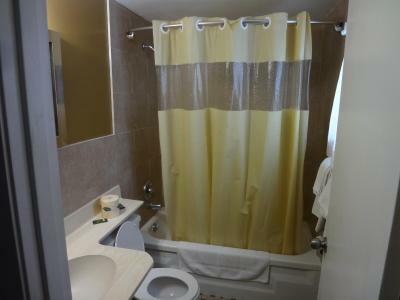 Very clean, large rooms, friendly staff, excellent price. Had 3 beds in a room. Great for our family with 2 kids. Great value. Close to the center and niagarafalls and staff is friendly. The location was great, not too far from Clifton hill. The location was near a shopping and restaurants. Very happy with the experience at Advance inn was greeted by name with a warm cheerful smile an immediate offer of free coffee and water and map check in was smooth price awesome. Unit a little outdated but can see efforts being made to update but extremely clean smelled pleasant upon entry and not even a speck of dust anywhere. Bed very comfortable could have used a couple more pillows lol I am sure had I asked would not have been a problem getting any. Everything worked as it should plenty of outlets for chargers etc. Water pressure a little low in shower but it worked. The rooms were large and bright. Rameesh at reception really helped us with our visit to Niagara. He showed us where to park,where the attractions were and how long it would take to walk there . All with a smile. The location was next to a few bars and restaurants, which was super convenient, and the staff was super friendly and helpful! Advance Inn This rating is a reflection of how the property compares to the industry standard when it comes to price, facilities and services available. It's based on a self-evaluation by the property. Use this rating to help choose your stay! 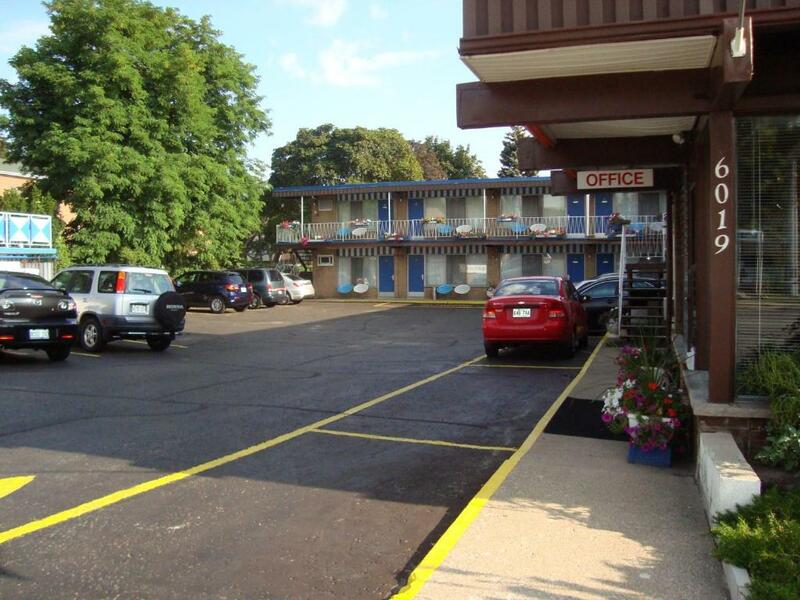 Advance Inn is conveniently located within walking distance of Niagara Falls. The motel features a seasonal outdoor pool, open in July and August. Guest rooms come with free WiFi and a flat-screen TV. Each room is equipped with a microwave and refrigerator. There is also a seating area. 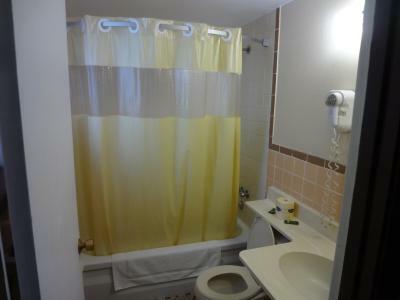 For guests’ convenience, the motel offers free local calls and free parking. Advance Inn is within walking distance of Lundy’s Lane Battlefield Park and a wide variety of restaurants. It is within 1.2 mi of Fallsview Casino Resort and Casino Niagara. When would you like to stay at Advance Inn? A microwave and a small fridge are featured in this room. 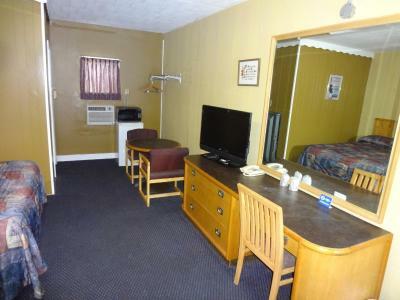 Free Wi-Fi and a 32-inch LCD cable TV are included. House Rules Advance Inn takes special requests – add in the next step! Advance Inn accepts these cards and reserves the right to temporarily hold an amount prior to arrival. Every thing was good but there was no clothes hanger inside the washroom. Specially need it when you are visiting with family. Nice location, almost every thing is so close such as restaurants, shops . Accommodating receptionist! Helpful and cheerful! The staff were very friendly, and prompt with fixing any problems that occurred. It was worth the price. I would recommend this hotel to anyone that is on a budget. The beds were very comfortable. Very close to all the attractions if you’ve got a car. Comfy beds and really friendly staff. room 3 was great ,loved the jacuzzi, water pressure great bed was comfy. They have chairs outside to relax on which was nice. About a 20 min walk to clifton hill and fallsview casino. The blocks in the ceiling is obviously and the lamps beside the bed are just stand on pipes. The quality of bed is so awful. The location is close to the fall. But it looks like innovated from storage rooms. The bed is so low quality that caused me back pain each morning. The staff is always friendly and helpful. The cost is perfect and the location is great for us. We were told 11:30 check out time and at 11:00 we received loud knock on the door telling us to leave and that check out is 11:00. Even though there were notes everywhere about smoking not being allowed in the rooms our room stunk of smoke. We opened the windows to air out the room but it didn’t do anything. It must be years and years worth of smoke smell accumulated in there. Was easy to park near our entrance.